Air conditioners can develop problems at any time, and you never know when an AC might break down and stop working. The time that it's most likely going to break down is when it's being used the most: during the hottest parts of the year. That means that if your AC breaks down, you'll most likely need to have it repaired as soon as possible in order to keep your home both comfortable and safe. If your air conditioner stops working while the temperatures in are 90° F or higher, it could leave your family in an uncomfortable and an unsafe situation. If your air conditioner breaks down, the professional air conditioning contractors at Cooper’s, Inc. can provide you with prompt and professional emergency AC services in the Topeka area. We know that you won't always be able to wait for an appointment, so our air condiitioning company is available 24/7 to provide you with the services that you need. We'll always be ready and eager to make sure that your air conditioner is in the best condition possible. When you have a problem with your air conditioning system, you need repair services as soon as possible, and you also need to know that that service is totally reliable. Our professionals are always ready to provide you with repairs—at any time, day or night—that are as high quality as possible. When you request emergency service, we'll be on the scene as soon as possible to provide you with thorough and accurate repairs. We'll take care of the issues you're facing as quickly as possible, but we'll never sacrifice the quality of our work in favor of a speedy job. All of our air conditioning service contractors are licensed, trained, and experienced, so no matter what kinds of services you need—or when you need them—you can always rely on us for quality air conditioning repairs in the Topeka area. We'll be able to diagnose the problems quickly, and we'll make sure that the repairs are accurate. You can depend on our AC repair contractors to make sure that your cooling system is always kept in excellent condition. If you need emergency AC service in the Topeka area, call Cooper's Inc at 785-267-4100 today. 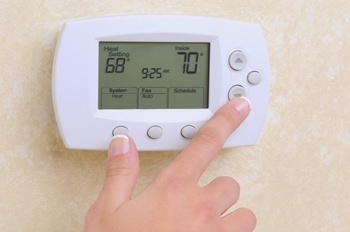 For non-emergency air conditioning repairs, you may call us or complete our online request form.